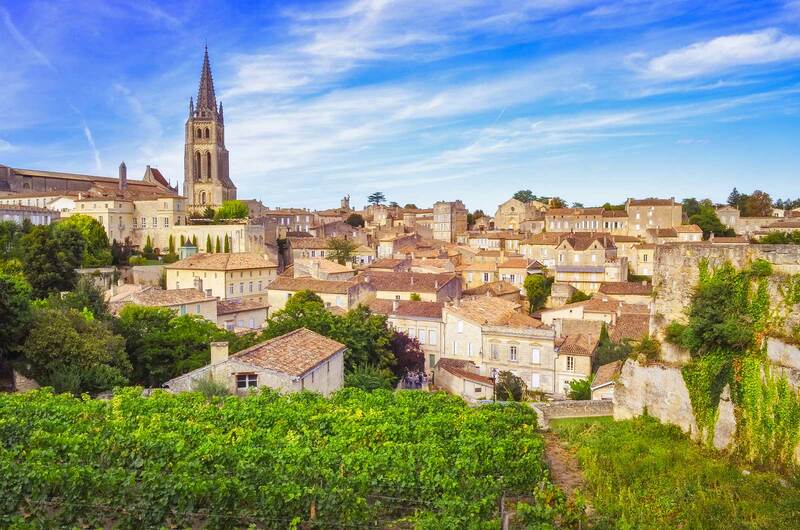 Saint-Émilion produces one of the sexiest red wines on the planet. It is the kind of wine that will make you zero in on the fattiest, most savory item on the menu, and order it — with giddy anticipation. One whiff of this wine and it seems to say to you “go ahead … live a little.” It’s the devil-on-the-shoulder wine. Because Sideways is Old News – People are still listening to Miles? No, no, no. We are drinking Merlot tonight. You Need a Great Burger Wine – Saint-Émilion’s round and plush fruit with a mineral touch makes it a sweet match. 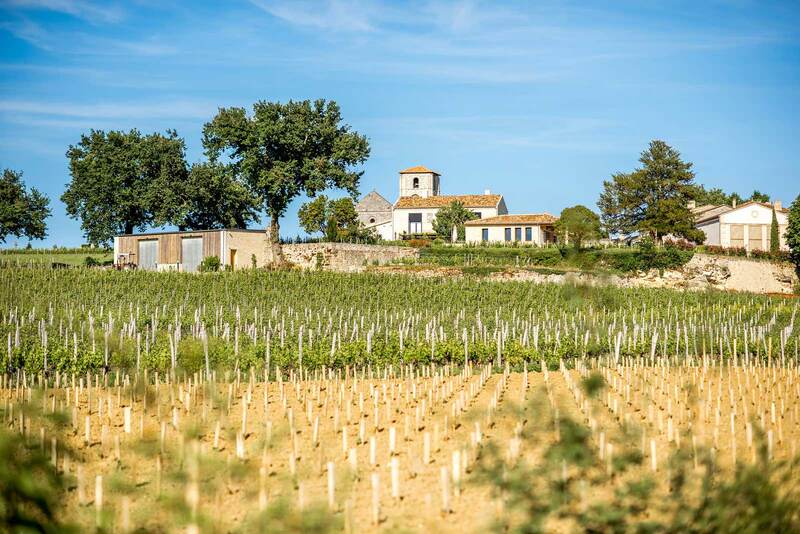 It Will Keep You Interested for a Long Time to Come – Saint-Émilion’s roster of producers is extensive, it’s terroir is complex, and the entire region is converting to biodynamic and organic practices. Saint-Émilion will keep you interested for a second, third and fourth taste. Saint-Émilion has deep roots in viticulture. Thought to be the oldest wine-producing appellation in Bordeaux, much of its history is inseparable from its grapevines. Evidence suggests that the Romans made wine here as early as 56 BC. The Catholic church carried the torch through the Middle Ages, with the Benedictine order solidifying the area’s wine production in the 11th century. Shortly thereafter, Saint-Émilion gave birth to the first wine society in France. By the 14th century Saint-Émilion was exporting its wine to England because it had an enthusiast in King Edward. Saint-Émilion’s location on the right bank of the Dordogne River gave it an easy, natural access to shipping options. During this time — while many of today’s famous wine regions were cultivating grapes solely for local production — Saint-Émilion had already made an industry out of wine. The countryside surrounding Saint-Émilion — vines, vines, and more vines. 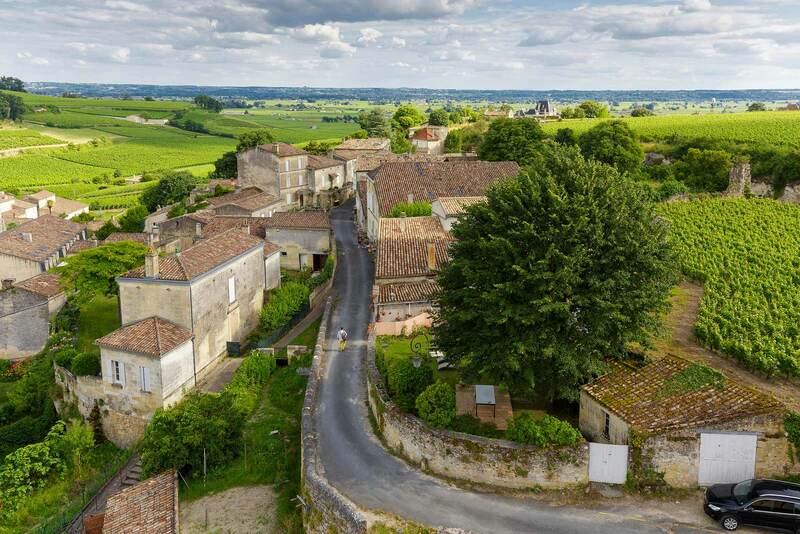 Yet today’s image of the town — a tidy and uniform village surrounded by green vineyards and crowned by a hulking church — is far from “industrial.” Saint-Émilion is one of Southwest France’s most picturesque towns, and it has been recognized as an UNESCO World Heritage Site. 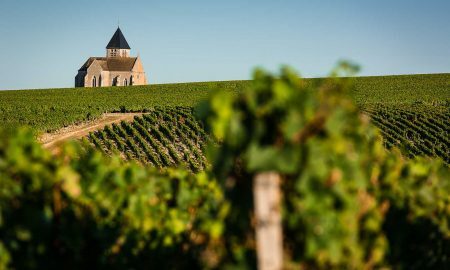 As if to acknowledge its responsibility for preserving this unique cultural heritage, the Saint-Émilion Wine Council created new regulations late last year that will require all estates to enact sustainable farming practices by 2019. Beginning with that vintage, if the label says “Saint-Émilion,” you can be assured the wine is either organic or biodynamic. If its not, it will merely be labeled as generic Bordeaux. All of this speaks very well of Saint-Émilion’s future. 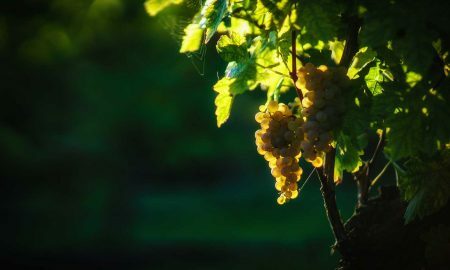 If the driving force behind fine French wine is the expression of terroir, it would stand to reason that organic viticulture and biodynamic practices would help reveal those subtleties. Said another way: the policy ensures that pesticides and chemicals in the vineyard and winery will not obscure them. (This, of course, is a topic for another article). No matter the volatility of the weather or the fickleness of global wine markets, Saint-Émilion has made a statement that controlling your wine with chemicals won’t be tolerated. Like much of Bordeaux, the estates of Saint-Émilion are rigorously classified into tiers, although here, they make adjustments to the lists every 10 years, unlike the woefully outdated 1855 classifications of the Left Bank. But if you think these classifications are intuitive (or even important), uhh … think again. On labels of Saint-Émilion you will see Premier Cru Classe A, Premier Cru Classe B, Grand Cru Classe and Grand Cru. No, Grand Cru is not the highest (this ain’t Burgundy). Premier Cru Classe A is the highest, and that tier currently includes only four estates: Château Angelus, Château Ausone, Château Cheval Blanc and Château Pavie. Interested in starting at the top? It’ll cost you. 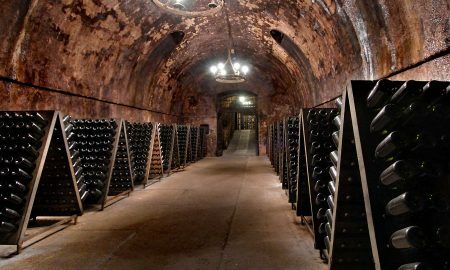 The wines from the Premier Cru Classe A go for between $350-$550 per bottle, and are traded and lorded over more like commodities than a beverage. 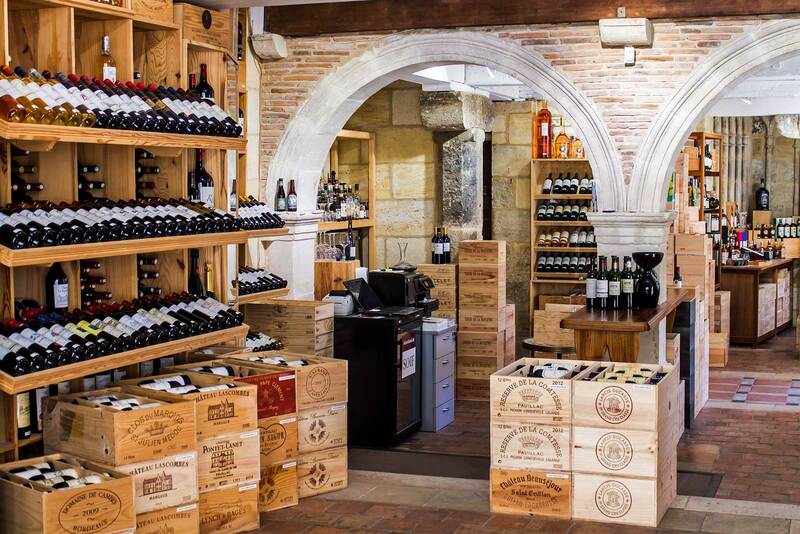 A wine shop in Saint-Émilion. 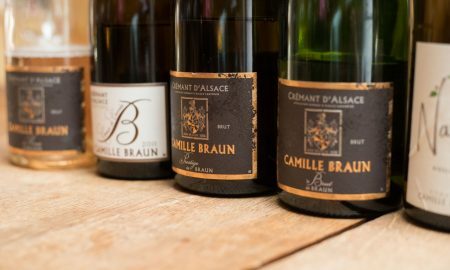 Can Premier Cru Classe B, Grand Cru Classe and Grand Cru wines be outstanding? Absolutely. Ultimately, these classifications mean little to us everyday drinkers. We’re likely to be drinking Grand Cru Classe or Grand Cru wines because they’re more reasonably priced, and within that space, you can still drink exceedingly well. The wine listed below from Château Fonroque can be bought for around $30, and it drinks better than many Merlot I’ve had that cost twice that. 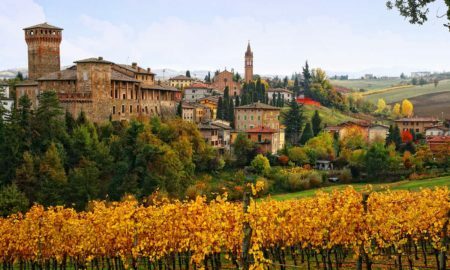 Furthermore, some wineries in the region operate outside the classification system. Bottom line: It’s a hot mess, so don’t sweat it. So what is this wine exactly? Well, it is red. And satin-like. Comprised mainly of Merlot — with Cabernet Franc, Cabernet Sauvignon and Malbec permitted as well — the wine has a distinct roundness on the palate. If you are looking for tannins and acidity, they won’t be here in abundance. In their place, you’ll find decadent amounts of berry-like aromatics and flavor. (One of my all-time favorite flavors is raspberries, so I am a sucker for Saint-Émilion). But what really makes Saint-Émilion’s Merlot juice special is its unique terroir. The climate is heavily influenced by the nearby Atlantic Ocean, which helps to define the region’s wine style as a whole. But from one estate to the next, the subtle differences come from the dirt. 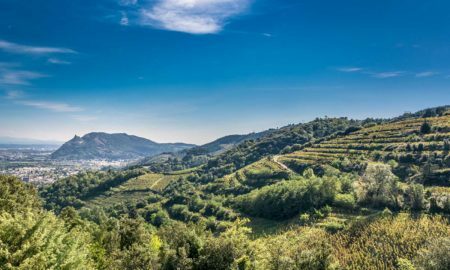 A mosaic of clay-rich and sandy topsoil — covering a bedrock of limestone with varying degrees of hardness — creates significant differences in the wines. 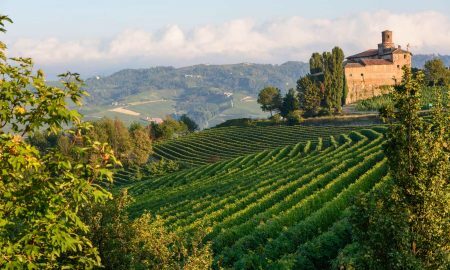 Many believe that the best wines come from the slopes surrounding the hilltop town, where three of the top-rated estates (and many of their “lesser” neighbors) can be found — Angelus, Ausone and Pavie. But then again, the other top-rated estate — Cheval Blanc — is near the border with the Pomerol AOC in the gravel-covered lowlands. In the lowlands around Saint-Émilion, the vineyards terroir is defined by a topsoil that is gravel-covered or out-right sandy. 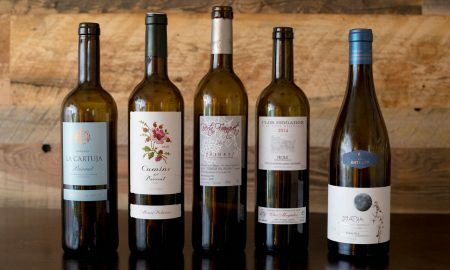 One soil is not necessarily better than the other, but the differences are worth noting if you dive deeper into Saint-Émilion, because the resulting wines vary. 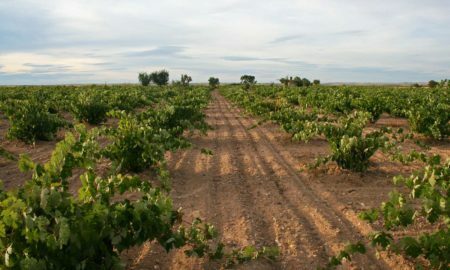 On an overly simplistic level, wines from the sandier soils of the lowlands tend to be lighter in body; those from clay-based soils offer more minerality on the finish. To get you started, I am recommending the 2012 Château Fonroque Saint-Émilion Grand Cru Classé. Don’t worry too much about vintage … this is your first taste! (See below for info and tasting notes). 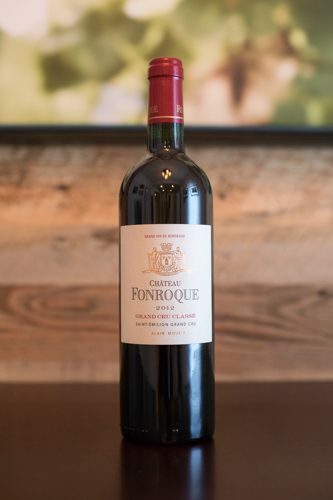 Château Fonroque is situated just north of the town and was one of the first Saint-Émilion estates to experiment with biodynamic practices in 2002, eventually converting completely over in 2008. On top of that, their wines are certified organic. Another wine that I’ve deeply enjoyed is from Château Grand Barrail Lamarzelle Figeac. Both wines pair very well with burgers, steak tartare and salted pommes frites. Tasting notes: A beautiful Merlot-centric blend with wonderfully dark berry-patch aromas and burly strength. Unfiltered and a little cloudy when held up to the light. On the nose I picked up notes reminding me of ripe blackberry and flint, eventually giving way to raspberry jam, cinnamon stick and walnut. Jammy without being thick in the body. Supremely round on the palate, mixing boldness with a light touch somehow. Dry and fruity on the finish. Serving suggestions: The wine’s roundness, plush fruit and flinty notes make it an ideal match for a buffalo burger with sautéed onions and mushrooms (pass the fries). I would recommend opening the wine at least one hour before serving, two hours if you have the time. And don’t be afraid to leave some for the next night. I upgraded this wine from ★★★★ 1/2 to ★★★★ 3/4 after how it tasted on the second night.